A gift of church life is the opportunity to be part of a Christian community—sharing common values, working for justice, and gathering to worship God. 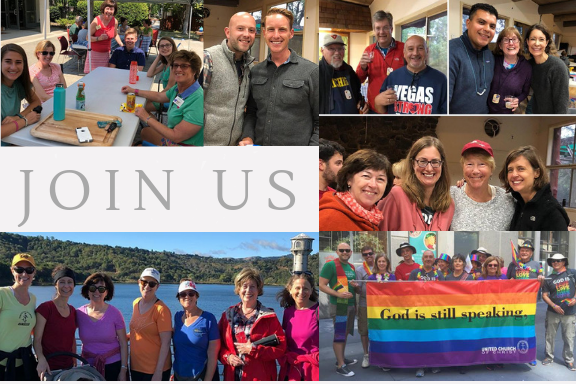 At Danville Congregational Church we warmly invite you to worship with us and to participate fully in the life of our community, whether for a single visit or for an entire lifetime. To learn more about our church, you are welcome to attend a New Member Inquiry Class hosted by the Membership Commissioner and Pastors. At this informal meeting, we’ll talk about our congregation and the denomination of which we are a part. You’ll have a chance to ask questions and learn more about DCC—our worship, educational programs, offerings for children and youth, small groups, and service opportunities —and we hope to learn more about you, too. The meeting is designed to help you find ways that you can grow in faith through the ministries and programs of DCC, and to consider what the next step in your faith journey might be. Enjoy community and relationship with our sisters and brothers in faith.